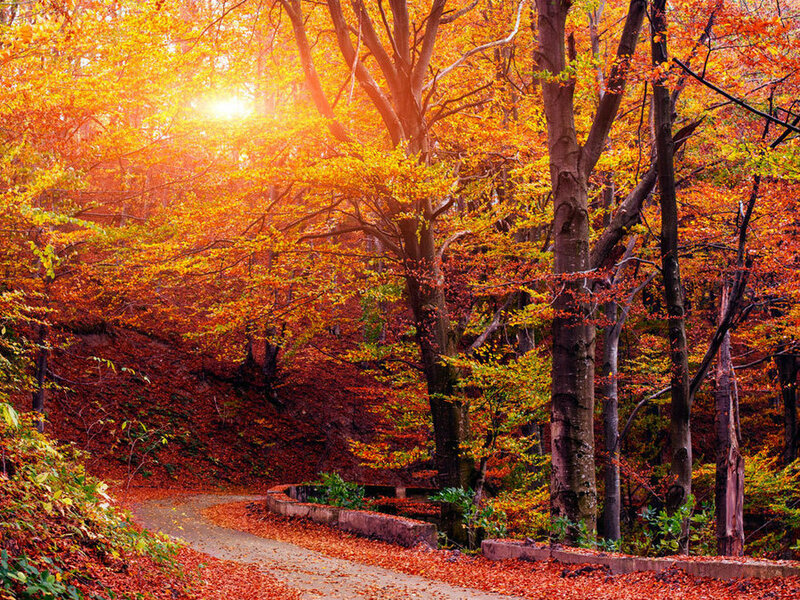 Author Anne Lamott describes fall like this: “The colors are broccoli and flame and fox fur. The tang is apples, death, and wood smoke. The rot smells faintly of grapes, of fermentation, of one element being changed alchemically into another, and the air is moist and you sleep under two down comforters in a cold room. The trails are not dusty anymore, and you get to wear your favorite sweaters." The trails are not dusty anymore. Fall has this way of reminding me of the things that might need to fall away so that my relationship with God is not as dusty or unclear. This time last year, I went to a conference held in a beautiful cathedral in downtown Chicago. Being a fan of fall weather, I was thrilled to bundle up in my scarf, beanie, and jacket and enjoy the changing of seasons. At the conference, we ended by singing “Be Thou My Vision” with only our voices. I was covered in chills regardless of how many layers I had on. There was just something about hearing people of faith raise their voices together in this ancient space - a space that has heard the voices of people of faith for generations. The conference was called “Why Christian?” And that was the simple prompt that guided the two days: why are you Christian? For me, I am Christian because Jesus gave us a vision that was not only worth believing, but worth following. I am Christian because Jesus sits with a woman at a well and tells her the same thing I am need of hearing daily: “If you knew the generosity of God and who I am, you would be asking me for a drink, and I would give you fresh, living water.” (John 4:10) I am Christian because the God of creation calls me to look at the beauty of creation and learn and grow through the seasons changing. In this autumn season, clarity and vision for what God is doing in our lives might come from things changing… or maybe even falling away. What circumstances are causing change in your life? What are you learning and growing through in this change? What might need to fall away in your life so that you might go deeper in your faith and grow closer to God? This weekend we conclude our series, Jenga, by setting aside time to take a deep look at how our time is spent. That’s a message I need this week!